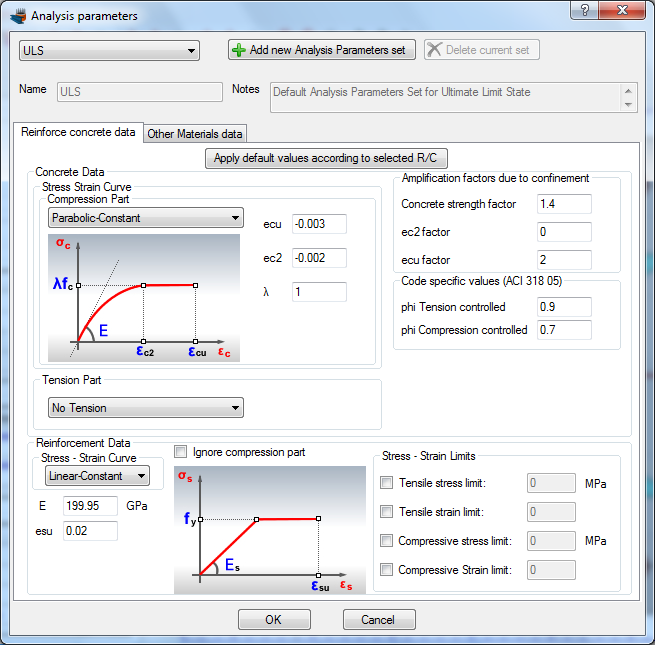 Definition of the Analysis Parameters sets. ULS set contains data regarding the Ultimate Limit State. 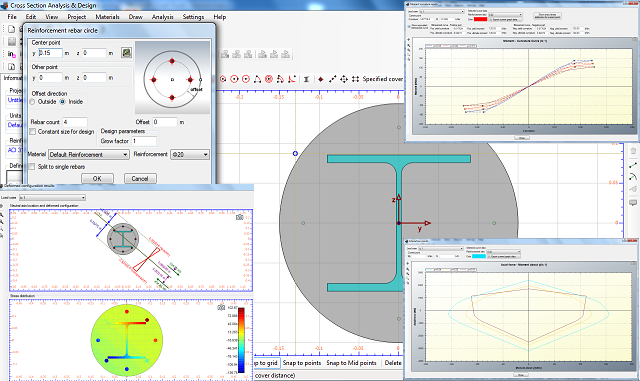 Concrete curve for compression is set to Parabolic - Constant and reinforcement is assigned with a linear-plastic stress/strain diagram.